Back to Napa! Tips on where to go and eat in Napa Valley. 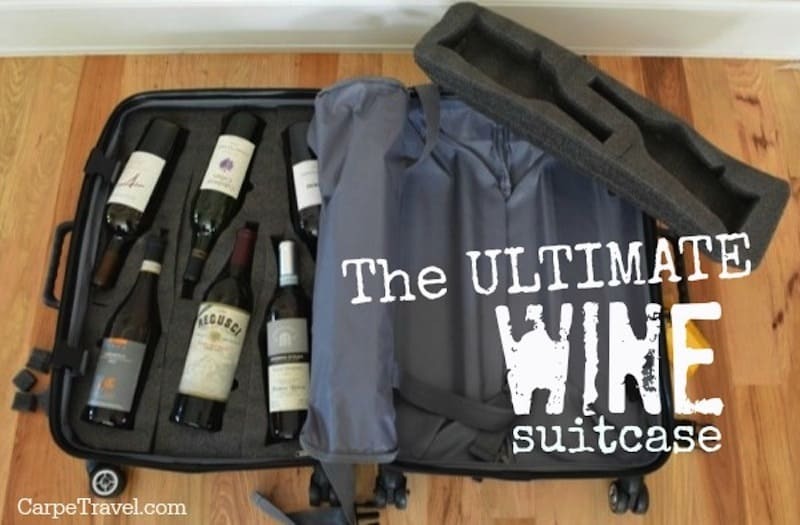 I had been hesitant to plan much for our first day in Napa since The Husband had alluded to the fact he may have to stay in the city for another meeting. I was prepared, however, with a few spas to call for last minute massages. The Husband was able to duck our early so our schedule was open, completely free from any plans until 9am the following morning. Oh, what to do! We arrived in Yountville, starving. A friend had suggested trying Redd and since I was unable to secure dinner reservations there we set out to try it for lunch. When traveling I like to sit at the bar a lot to talk to the bartender and get their ideas for places to go/see/do. There is nothing like a locals recommendation. And that’s just what we did. 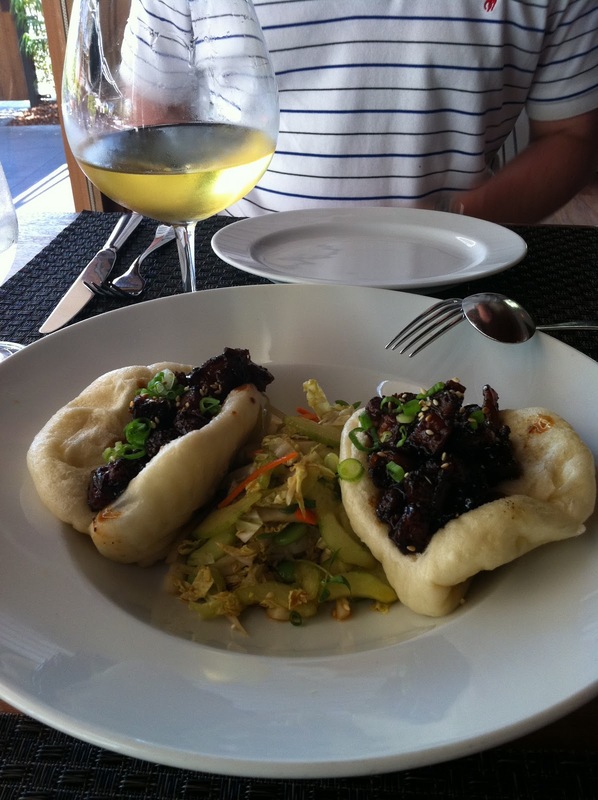 His recommendations were exquisite, especially around the food and wine pairings at Redd. Take the steamed pork buns that melt in your mouth, pared with a 2009 Lewis Chardonnay, followed by a prosciutto pizza, with fontina, arugula and shaved parmesan. Amazing! The bartender confirmed our idea for how best to spend the remainder of the day. Try one winery then hit the pool as the weather had begun to warm up. So many vineyards to choose from and so little time. The dilemma. We ventured out to try something new; a recommendation from one of The Husband’s colleagues in San Francisco. Trefethen. Phillipe, a happy Frenchman who somehow wound up working in the Napa Valley wine region was our guide to the Trefethen wines. And what a good, insightful and rather hilarious guide he was. 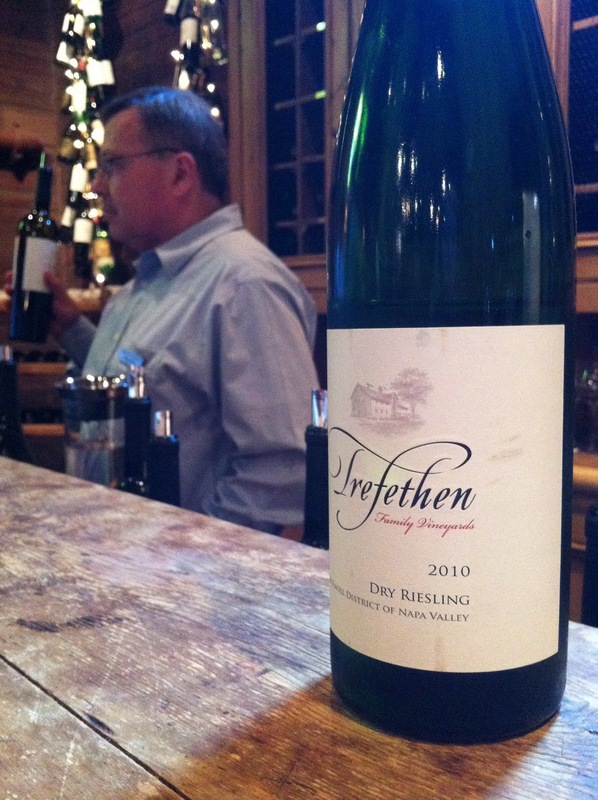 The Estate Tasting at Trefethen allows you to try four wines. Note, if the “guide” likes you and you engage with them about the wines you may be able to taste more of the wines you’re allotted with your tasting fee. It also helps if you make a purchase. 2010 Dry Riesling: This is an easy afternoon or breakfast wine. It’s very fresh and light wine but a bit to acidic for me. After a few sips I had what most Rieslings do to me – a little bite in the back of my jaw. My favorites in the Estate Tasting (besides S.I.N) were the 2007 Merlot and 2007 Cabernet Sauvignon mainly because I love wines I can taste the vanilla in. These two are winners with the vanilla aromas and well-balanced finish. The Cab is a bit oaky and still pretty young. It should be aged for three to five years and then it will be very soft and smooth. Although, it is ready to drink now just make sure to decant it for an hour. The Winemakers Reserve Tasting was awesome. The wines were big, smooth and just plain delicious. I think the 2008 Dragon’s Tooth and 2007 Reserve Cabernet Sauvignon were my favorites. Luxury in a glass… Decant the Cab for at least 30 minutes. This wine (the Cab) can also be aged for 10-15 years. One thing I wish we had been able to do at Trefethen was Twilight at Trefethen. It’s a “twilight tour” that begins after the winery closes to the public. The evening begins with a reception including cheese and charcuterie. 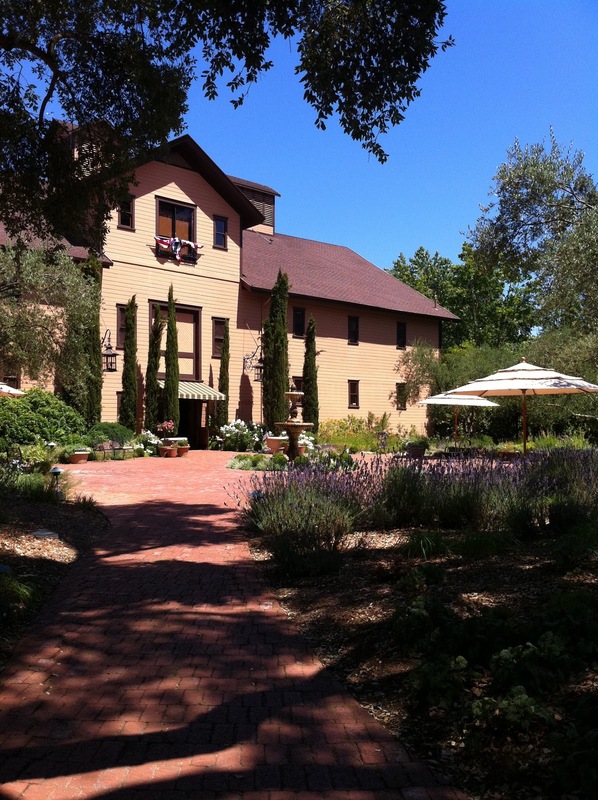 Then, a tour of the historic 19th-century winery, where you partake in barrel tastings in the cellar then enjoy a tasting of some small lot trials and wines from past vintages. It’s only on Friday’s at 6pm, we had already made other plans. Maybe next time. Thanks for the recommendation! I’ll definitely check out Trefethen next time!